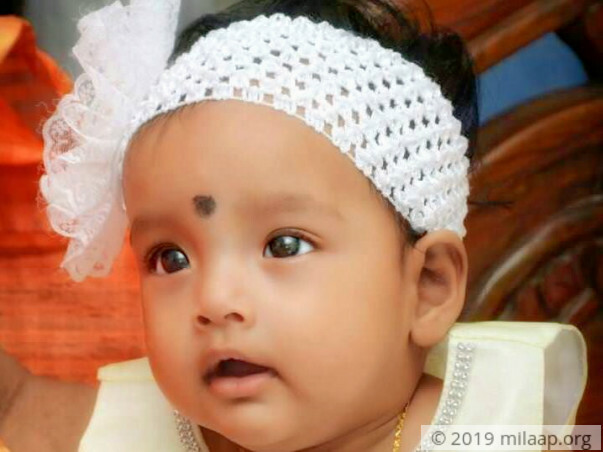 1-year-old Baby Arohi began crying in pain a month back and when she was taken to the doctor she was diagnosed with a brain condition called Dandy Walker Syndrome. Dandy Walker Syndrome is a rare group of congenital human brain malformations. 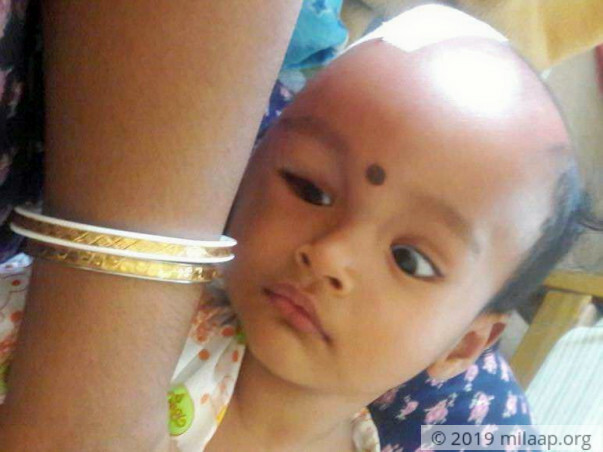 In the majority of individuals with Dandy–Walker malformation, signs and symptoms caused by abnormal brain development are present at birth or develop within the first year of life. Some children have a buildup of fluid in the brain (hydrocephalus) that may cause increased head size. 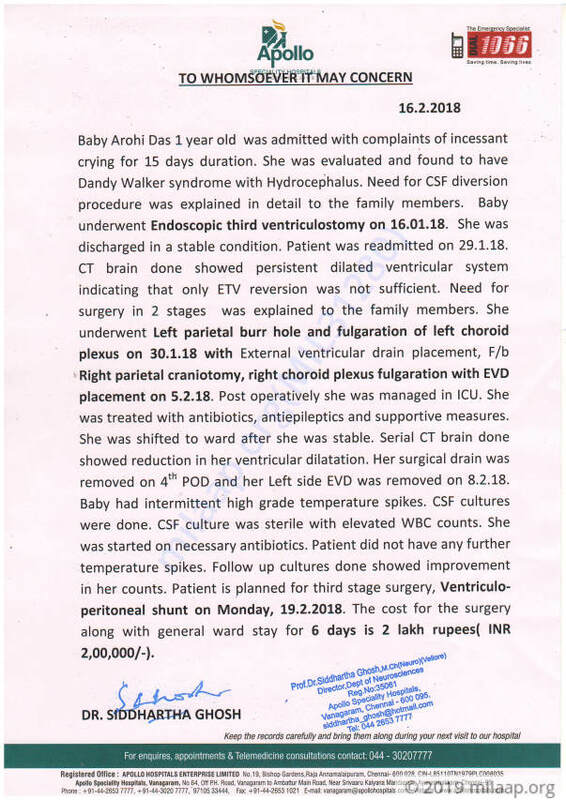 Due to the criticality of her condition she had to undergo three surgeries and is now in the ICU under recovery. She still requires medical management before she can recover completely. The total cost of the treatment is around 2 lakh Rs. 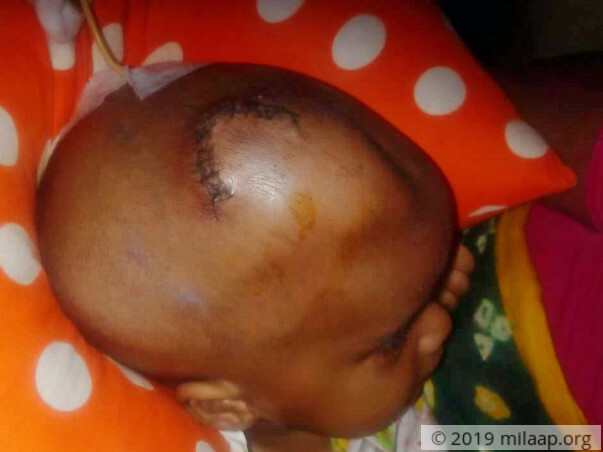 Unfortunately, Asit does not have the funds to save his daughter and needs our help.